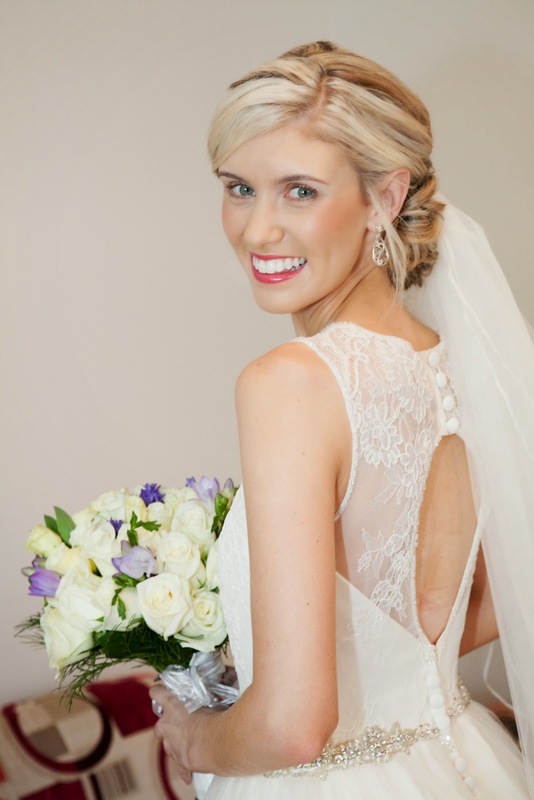 This month's featured bride is the beautiful Amy. Amy and her mother have been long time customers of Selective Fine Fabrics- Amy even purchased her formal material from us! 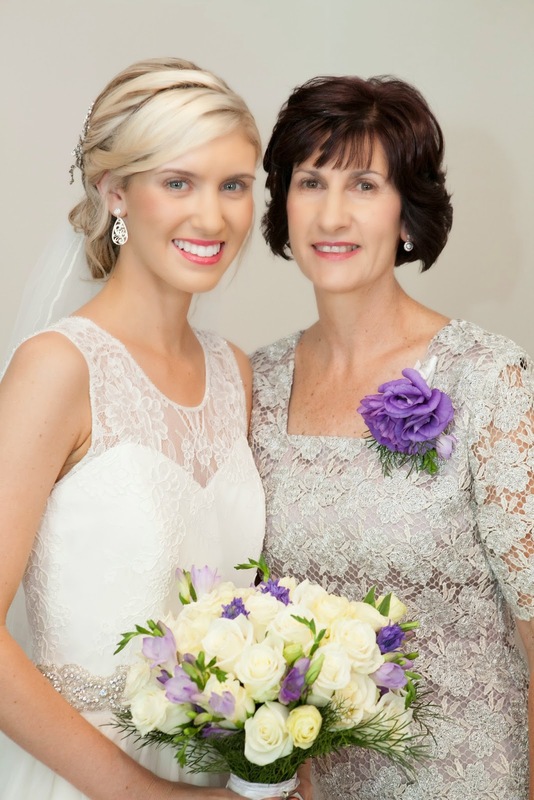 So when the time came for her to get married, she came back to our store with her long time dressmaker, Sue from Snez Designs. Amy's design was feminine and classical. She wanted a beautiful delicate lace that could be appliqued on her full tulle skirt as well as her bodice. Amy opted for one of our beatiful fine laces with light cording that emphasized the beautiful pattern. 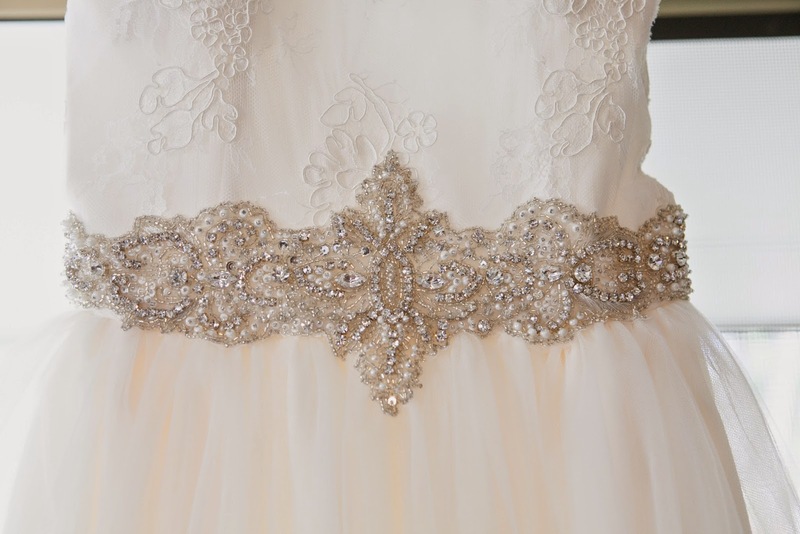 To add a little bit of bling, Amy also decided to have a crystal encrusted belt to compliment her dress. 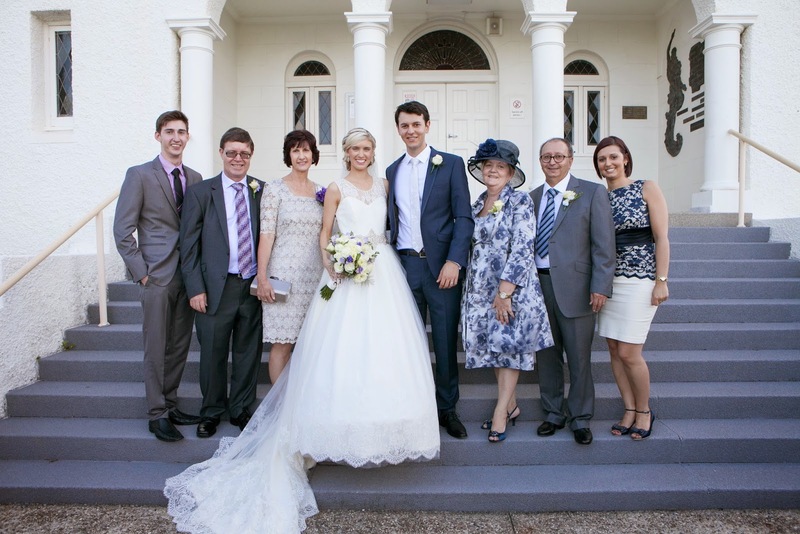 Amy's mother, Janette also opted for a full lace dress in our Metallic Guipure Lace with Tea Rose silk satin. You looked absolutely beautiful girls! Thank you for allowing us to be part of this special process with you! Here are a few images that Amy has shared with us, as well as an interview we had with her about her experience at SFF. 1. How did you hear about Selective Fine Fabrics? I have previously bought material from SFF so knew about the beautiful range and quality of materials they have. 2.Did you start your design process with a sketch/picture or were you inspired by fabrics? I had an idea in my head of what I envisaged wearing on my wedding day and SFF made that dream come true! 3.Why did you decide to get your wedding dress made/ would you recommend it for any future brides? When I went looking at dresses I knew the style I wanted and couldn’t find my dream dress. I knew didn’t want strapless and, at the time, strapless was very popular. I also wished for a dress that was unique and that no one else was going to have. If you want a one off designed dress certainly look at having it made. You will also get a perfect fit, no last minute alterations and a lot less stress! 4.How would you describe your experience at SFF? 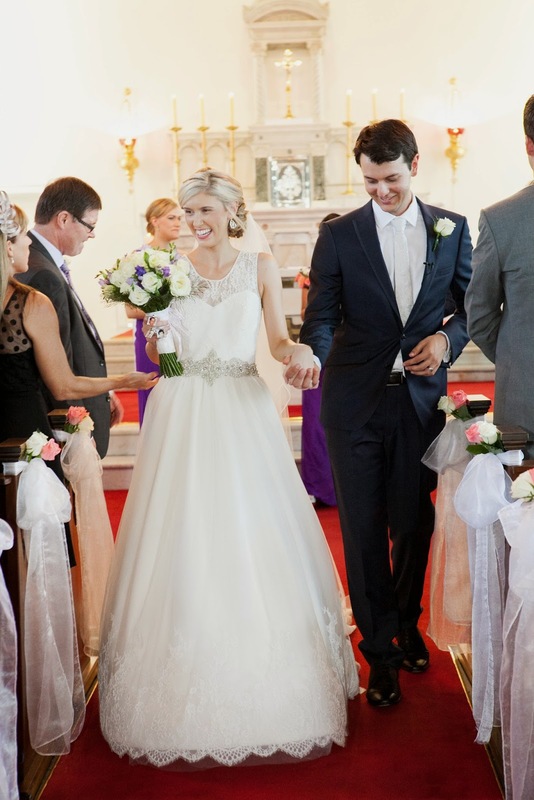 Anna & Steven were very helpful and knowledgeable when it came to choosing fabrics for my dress. I visited them several times and always knew I could trust their suggestions. 5.What did you think of the range of fabrics at SFF? With such an extensive range of beautiful and exquisite materials, it was difficult to make a choice – that’s where Anna & Steven come in helpful to guide you in the right direction! 6. Where did you have your wedding reception? Nigel and I were married at Our Lady of Victories Catholic Church at Bowen Hills, followed by a reception at Moda Events, Portside. 7. Did you have a wedding theme? 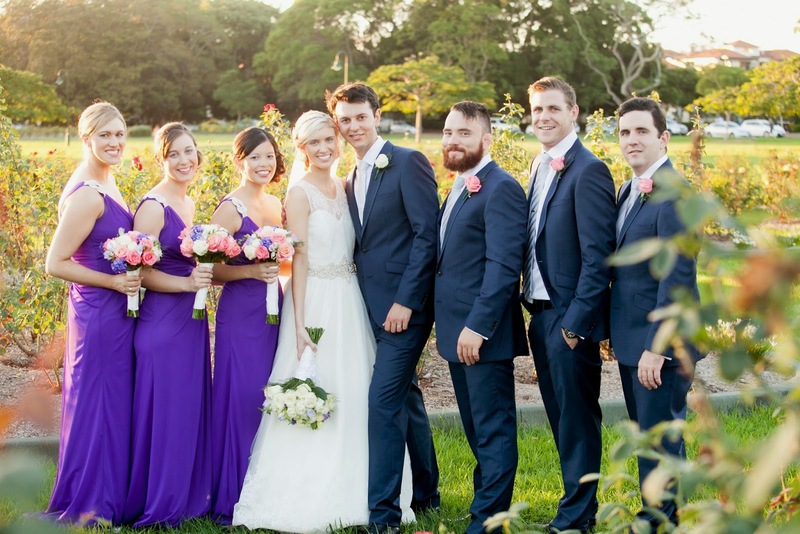 We had a modern elegance wedding theme with silver, purple and orange colour tones. 8. Where did you choose to go for your honeymoon? We chose to go to Japan as it was cherry blossom season which was spectacular to see. 9. What would be the best advice you would give to any future bride? Choose people/companies you either know or feel you trust to help you design the wedding of your dreams. If you want a dress that fits perfectly, looks amazing and you don’t want the stress worrying if it will arrive in time etc. – then relax, have it made and go and see Anna & Steven at SFF! You won’t regret it.